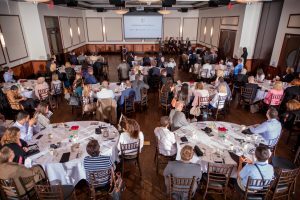 The Greater Oak Brook Chamber of Commerce Cybersecurity Forum was presented from 7:30 to 8:45 a.m. on June 29, 2017 at Gibsons Bar & Steakhouse’s new private dining room, The Oaks. 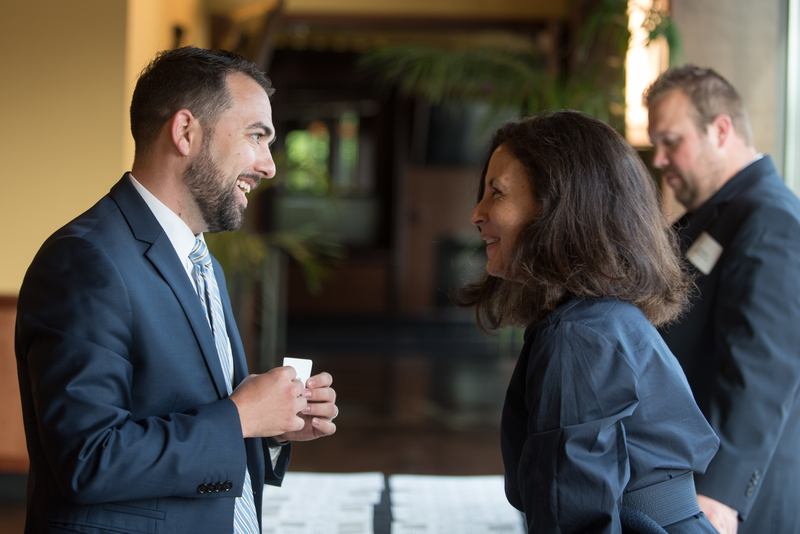 The event was attended by over 120 professionals representing a wide variety of businesses. It began with a breakfast, followed by a keynote presentation and a panel discussion. The Chamber was honored to have Bill Barouski, SVP and Deputy CISCO, Northern Trust Corporation and former EVP and CISO Federal Reserve System, as a guest speaker. His talk emphasized that at the core of the critical issue of cybersecurity are people who are both its problem and its solution. Barouski’s presentation made it clear that understanding human behavior was crucial and offered examples of how cognitive overload, emotional incentives, or the fundamental human need for communication can expose employees and companies to cybersecurity risks. According to him, even the strongest security network was only as good as the human connecting the next device to it. In addition, representatives from leading Greater Oak Brook businesses-Gary Horn of Advocate Health Care, Tammy Kocher of BCS Financial Corporation and Ken Greene of Comcast Business Services, shared how their organizations are responding to new cybersecurity challenges. They discussed dominant cybersecurity risks today, reviewed changing regulations and their impacts on businesses’ efforts to stay secure, shared insights on cybersecurity workforce challenges, and talked about the effects of IoT. Kevin Munday, Principal of Xeno Media, an Oakbrook Terrace based company, moderated the event. Please feel free to contact Bridget Karnick at 630-853-9247 or bkarnick@obchamber.com for information about this event.